THERAPI's aim is to introduce their customers to the ancient beauty secrets of Africa through a unique high quality Baobab Oil that offers multi benefits to the hair including moisturising, strengthening, repairing, conditioning and anti-ageing. Baobab Oil is pressed from the seeds of the Baobab Tree in accordance with strict environmental and ethical trade charter practices which are overseen by PhytoTrade Africa, to ensure environmental conservation and local biodiversity as well as economic benefits to local communities. 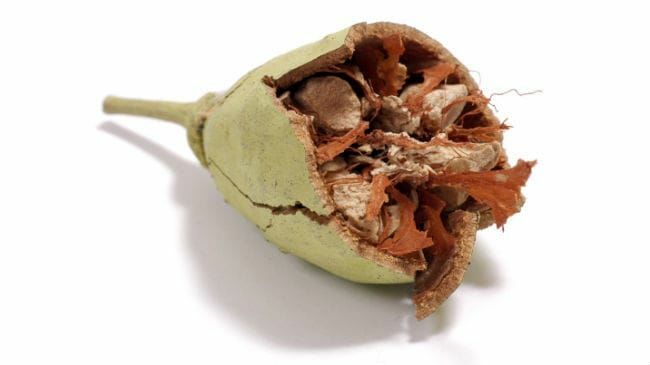 Baobab Oil is pressed from the seeds of the Baobab Fruit. It is golden yellow and gently scented. Strongly moisturising, it has a longer shelf-life than many other oils. 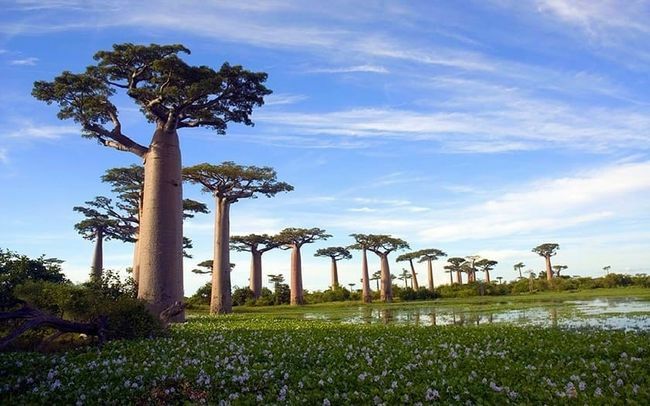 Containing almost equal measures of Palmitic, Oleic and Linoleic Acids, as well as vitamins A, D and E.
The Baobab Tree, or upside-down tree, is an icon symbolic of Africa. Famous for it's huge size and longevity, the Baobab can reach over 12m in diameter and the oldest living tree is thought to be over 6000 years old. It has smooth silver-greybark, drops its leaves for much of the year and produces elaborate white flowers. These flowers are pollinated at night by bats and grow into velvety green hard-shelled fruits containing the seeds from which Baobab Oil is produced and a fruit powder. African people have used all parts of the Baobab for centuries. Children snack on the tangy powder that surrounds the seeds. Women make a relish from the leaves and a delicious drink by adding the fruit powder to water and sugar. As well as pressing the seeds for oil to moisturize their skin, people also eat them. Here, Andrew Mbaimbai, 63, of Malawi tells us the difference that harvesting Baobab for Ubuntu oil has made to him and his family. “I live in Mtimbuka, a village in southern Malawi, with my wife, four daughters and eight grandchildren. I process Baobab seed in my spare time because I also have a job as a cook. 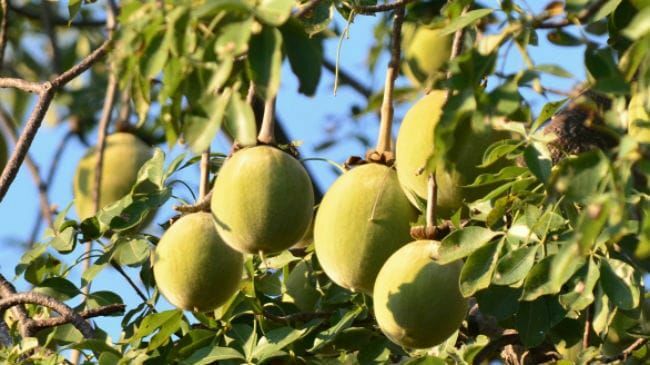 “I heard that a new company was buying Baobab seed to extract oil for the cosmetics industry in Europe. This was a new opportunity for me. After collecting the baobab fruit, I go to the processing centre, crack the fruit to separate seed and pulp, and sell them. “I use the money to pay for my children's school fees and to buy clothes for my family. Sometimes if a family member falls ill, I use the money to pay hospital bills. Without the money from selling baobab, I would not be able to meet all my family's needs."